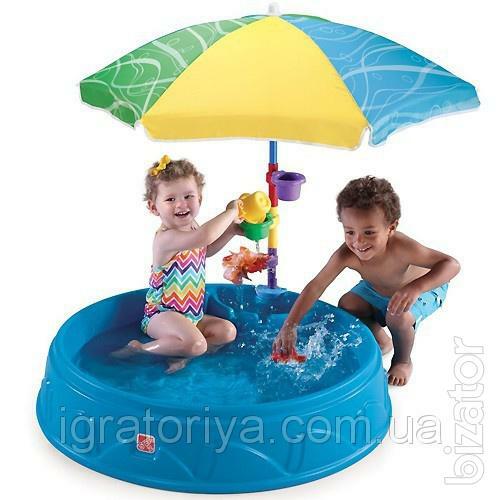 Roomy and colorful sandbox-pool with umbrella is a favorite pastime of Your baby in the hot summer days, the sun will hide a big bright umbrella, which can be attached Jolly mill, which is spinning, when the child pours water into the funnel. Also instead of water You can fill the sandbox with sand, and then the kid will be able to mold the cakes and construct various castles! The height of the pool with an umbrella: 127cm.